One Month Free at North Randall Location! So you have boxed up your belongings and placed each box into your self storage unit you rented in a such a way that they fit like a puzzle, leaving little to no excess room. Yes! You did it… right? Well, what happens in a day, month or even worse, a year when you come back to get that one thing you absolutely need? Which box is it in, where is that oh so needed box and the best one, how the heck are you going to get that box that is of course, all the way in the back? 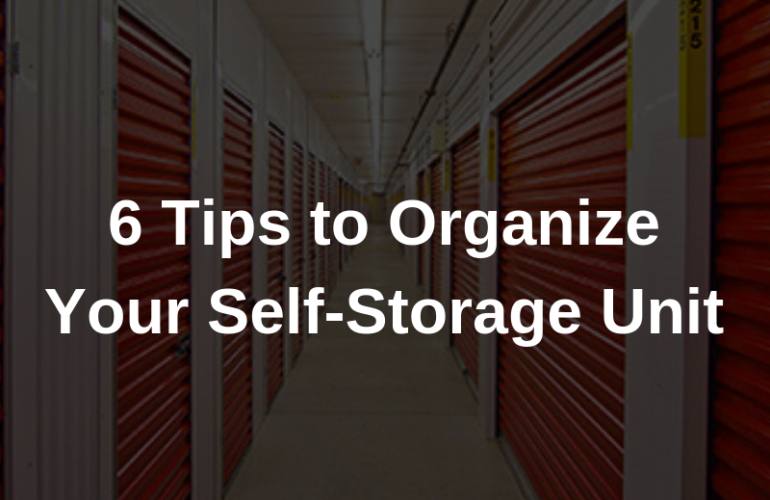 This is why you always want a plan when it comes to organizing your storage unit. Here are a few tips which should help! Write down all of the contents of each box along with the box name or number on paper. Taking the time to prep now could save you hours and energy later! Leaving a copy of the list in the storage unit will help prevent losing it at home. TIP: Use the voice to text feature on your smartphone to save time! Using the same size boxes allow for better stacking and accessibility. Remember, bigger isn’t always better. Large, especially heavy boxes, are more difficult to move and maneuver, which could prove to be difficult when you later access your self storage unit. Your contents list will help you remember what you have and in which box but make sure to label each box with a number and/or category. The more detailed you are now will make the process easier later! Make sure to identify boxes and items you know you will need later. These are your seasonal items, such as Christmas decorations, winter/summer clothes, office documents, etc. Packing these last will allow easy access when you need them. Identify items you know you will need, some you might need and others you know will be collecting dust for years to come. This will allow you to get an idea of where you should store your items, packing the least needed items first. Packing large items, such as furniture you don’t need, should be inserted first so you don’t need to move them each time you access your unit. TIP: Create a map to leave with your master list so you don’t have to move every box to see if it is the correct one. Even a crude map with make the process easier. Make sure to get a self-storage unit big enough for your things but also so you have some space to move around. You don’t want to jam each box in like a puzzle piece because then you will need to unpack all those boxes every time you need something. Creating some sort of walkway, even a tiny one, will make accessing your storage unit a lot easier. Contact us at 216-714-5869 and we would be happy to help!